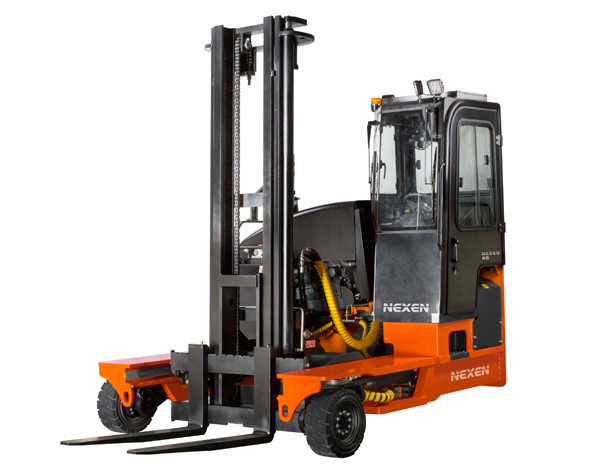 Nexen Sideloader - Multi-purpose Narrow Aisle Forklift | KMH Systems, Inc. 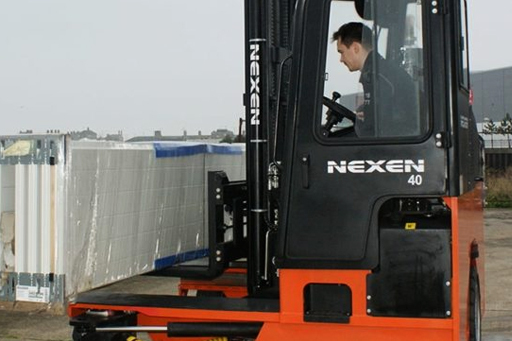 The FGSL incorporates an all-wheel hydrostatic drive system and, with larger wheels and increased ground clearance, it is also capable of operation on semi-rough terrain surfaces, making light work of tough conditions. Reliability and robustness have always been our main focus which can be seen straight away with the FGSL. 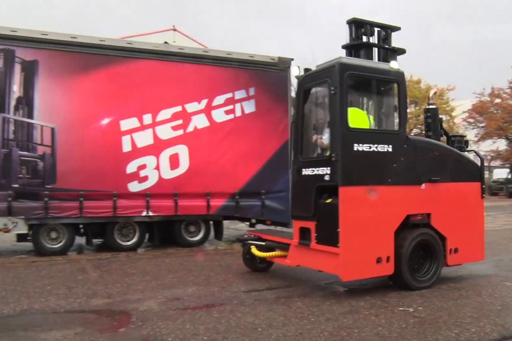 It benefits from a chassis entirely manufactured from a generous amount of quality structural steel and other high quality heavy duty imported European components & materials to ensure longevity of product life. 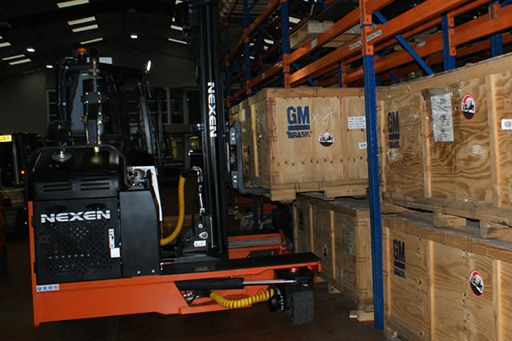 To reduce the footprint required to travel, the FGSL operates with a retractable mast that retracts the loads into the dimensions of the machine’s chassis and brings the load closer to the operator, which also improves visibility. 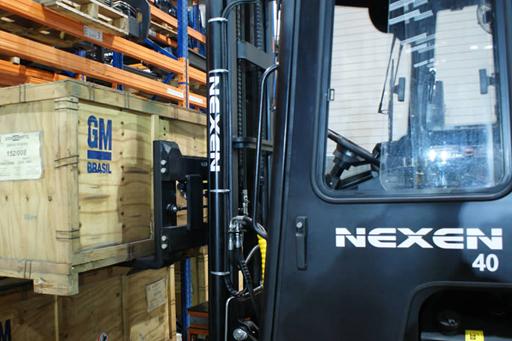 The Nexen FGSL Sideloader Range benefits from the capability to travel through narrow doorways and work areas with loads from four metres upwards in a reduced space and also at low level, supported on its unique beds to increase safety and prevent instability of loads whilst travelling.